Adelphi’s range of Masterfil semi-automatic machinery is still proving to be successful across a wide range of industries including food, cosmetic and pharmaceutical. 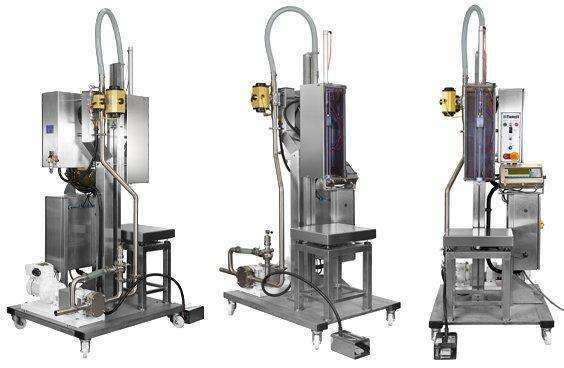 These machines are simple filling systems used to volumes up to 5 litres available with 1 or 2 filling nozzles, which can be programmed to dive and rise whilst filling. The machines can have a gravity or powered feed through conveyor and can be linked to a Mastercap capping unit. All machines are accurate to ±0.2% and can fill at speeds of up to 60 containers per hour for 1 litre fills or 36 containers per hour for 5 litre fills, dependent on product. 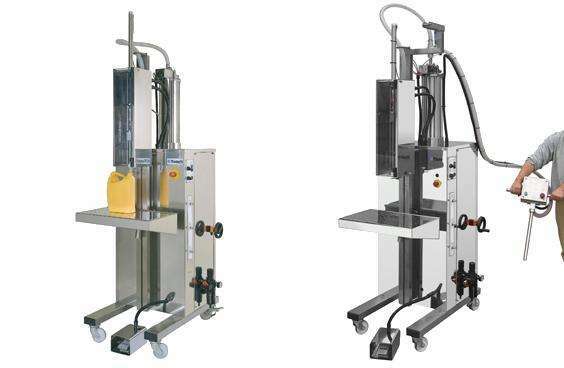 The weigh filling machines cover a range of fills from 1 litre to 210 litres and above if required. Fill accuracies comply with DOT weights and measure requirements (DTI Certification No 2001/15). At Masterfil we are able to integrate with various weighing systems including electronics and electro-pneumatics and the weigh scale platform can be bench height or floor mounted.